Now, 22 visitors are online. 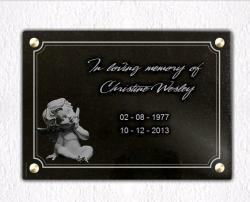 A cheap and original memorial plaque, to put in cemetery. 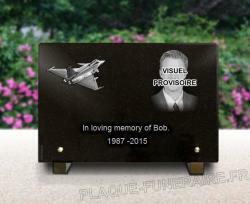 If you like to pay homage with an original commemorative plaque, offer a different memorial monument, be sure this product is for you ! It is a block of glass on a granite base. They are two stainless materials, and perfectly outdoors resistent. 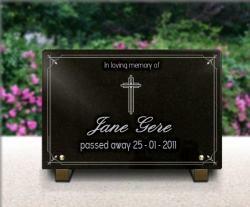 We engrave this original funeral monument. The block of transparent glass in engraved, and we add a white special paint to make the engraving more visible. Do not worry, this paint is also resistent, and the engraving is permanent. The granite base is also engraved, with sand. We do not print, paint or laser engrave our products. Those techniques are not good enough to resist and last in a cemetery. 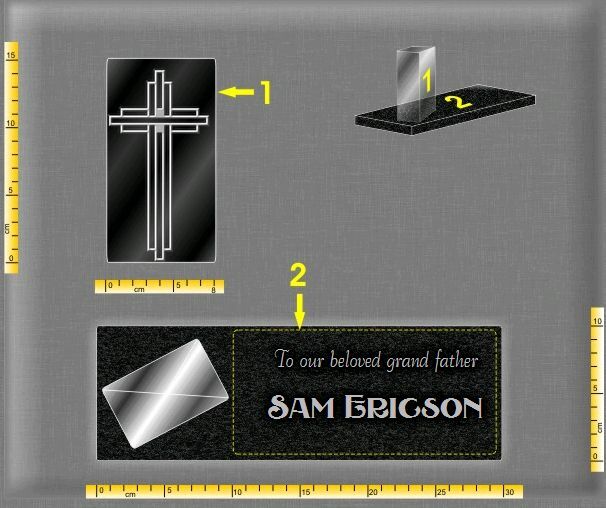 We know that a grave is outdoors, in the cold of winter and the summer heat, so we only produce and suggest outdoors resistent plaques. 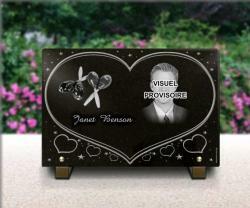 This a transparent block of glass, on a black granite base. The block is vertically put on left of the plaque. The block is engraved with a catholic church. It is stylised, with geometric effect. It is as high as the block of glass ( 15cm x 8cm). The engraving is on the front. The granite base is engraved on the top. There is a short text. A first line, in italics and English letters "To our beloved grand father". A second line, in original capital letters "Sam Ericson". As you might see there is two places to engrave, the number 1, which is on the glass and the number 2, on the granite base. When you will conceive yours, please do put the elements in the right places. We will not be responsible if we engrave the wrong element on the wrong place. 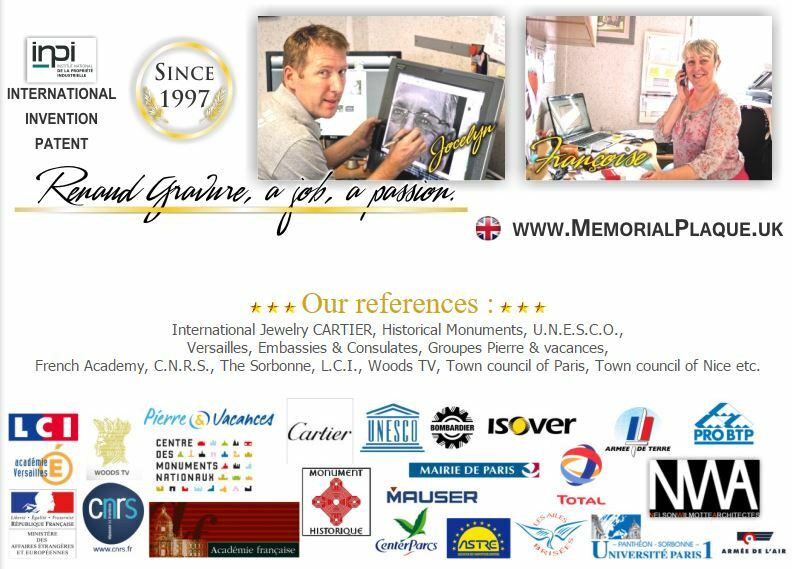 Nevertheless, the software is easy to use so it is not complicated to create such a memorial plaque. To change the plaque, go in the menu of plaques and choose "Glass blocks with or without base". Then follow the instructions. It is easy, there is not a lot of product. To add a pattern, you have to go in "High definition drawings" and choose in the categories the type of pattern you want. Here it is in "religion, cross".